Currently viewing the tag: "Drs. Maurizio and Roberto Viel"
Men and women have now become more health conscious – being watchful with their diet and eating habit as well as physical activities and lifestyle. People have opted for a healthier lifestyle for health and physical well being. Otoplasty is a reconstructive ear surgery to correct a defect in the ear structure – shape, position or proportion. In this modern world, people give a lot of importance in looking good and feeling good. Their perceptions about themselves affect their self-confidence, which also affect how they interact with everyone around them. Low self-esteem is commonly seen in people who are overweight or those who don’t have the proper body proportions. 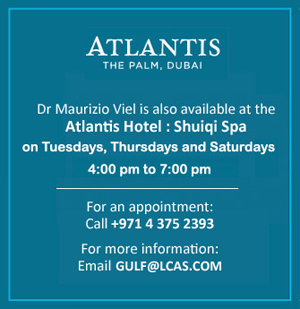 In Dubai, there is a growing market for anti-aging treatments and surgeries. People are more concerned about how they look ever since physical appearance became an added criteria to succeed in the corporate world. 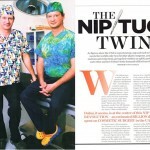 With Dubai becoming a cosmetic surgery hub in the Middle East, more and more people, not only from the UAE, are coming to the city looking for better options in aesthetics. The search for a perfect body shape or a rejuvenated look, make cosmetic surgeries rise in popularity in the region. 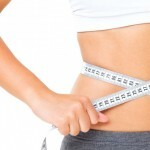 Defining your body and losing weight basically involves a combination of diet and exercise. Sometimes, even with a lot of hard work, you may notice that some fat deposits don’t go away. These trouble areas vary from one person to another and may be on the abdomen, thighs, hips or other areas. Vaser Liposuction is one of the most advanced liposuction techniques available at London Centre for Aesthetic Surgery in Dubai. Breast augmentation is one of the most popular cosmetic surgeries among women in Dubai and all over the world. The reasons women opt for breast augmentation in Dubai are many, from balancing breasts with unequal size to improving their self-esteem by enlarging their breasts. Getting rid of unwanted fat deposits in your body may not be an easy task, but when it comes to combating those trouble areas through surgery in a less invasive way, VASER liposuction may be the answer. Breast augmentation is one of the most popular cosmetic procedures available in Dubai. Most patients report a boost in their self-esteem and confidence after the procedure and the reasons for undergoing surgery are many, from cosmetic to medical. 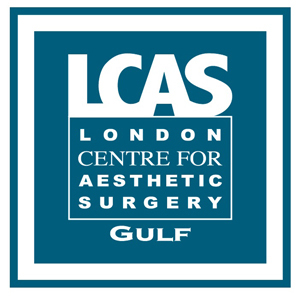 For more information please see our main LCAS site.